Hello, Welcome to Childline Zambia! 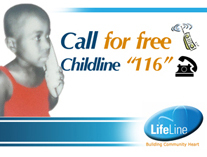 Childline Zambia is a Toll Free Telephone counseling and guidance service. 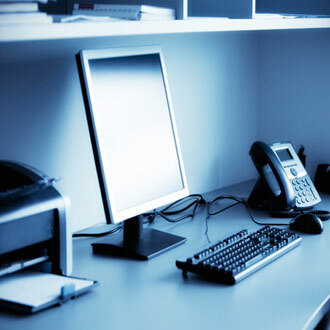 This service aims at promoting a child protection and is accessible for both child callers and those calling on behalf of children. This service was introduced as a response to the child protection and welfare needs of a children living in Zambia. A team of partners comprising of Ministry of Community Development, Mother and Child Health, Plan Zambia,Save the Children Sweden and UNICEF, who all have child protection and participation programs facilitated the introduction of the Childline in Zambia. After consultative meetings with various stakeholders carrying out child protection programs etc, the Childine was established. we aim to engage communitites in active dialogue and participation, seek understanding of the unique strengths and challenges of each community..
© Copyright 2003 - lifelinezambia.org.zm.